← Cometh the hour, cometh the man. 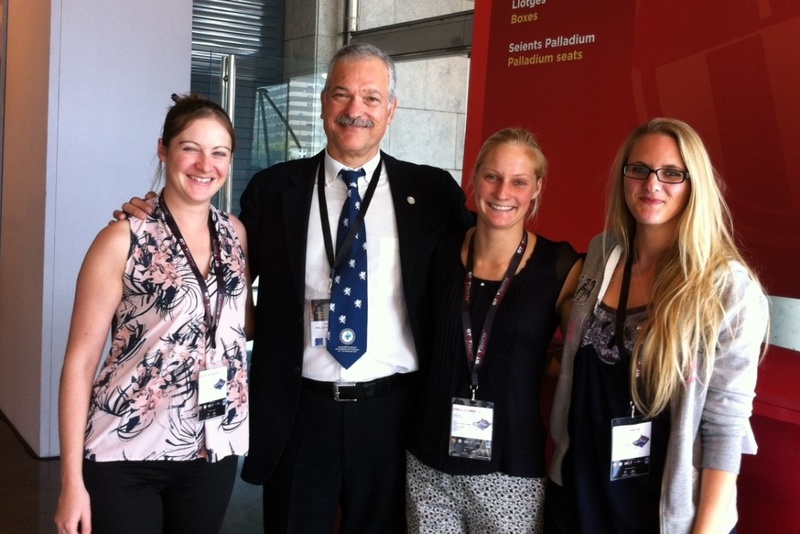 Last week I attended “Muscle and Tendon – Inspiring Clinical Excellence” conference in Barcelona organised by Muscletech and the European College Of Sports and Exercise Medicine (ECOSEP). 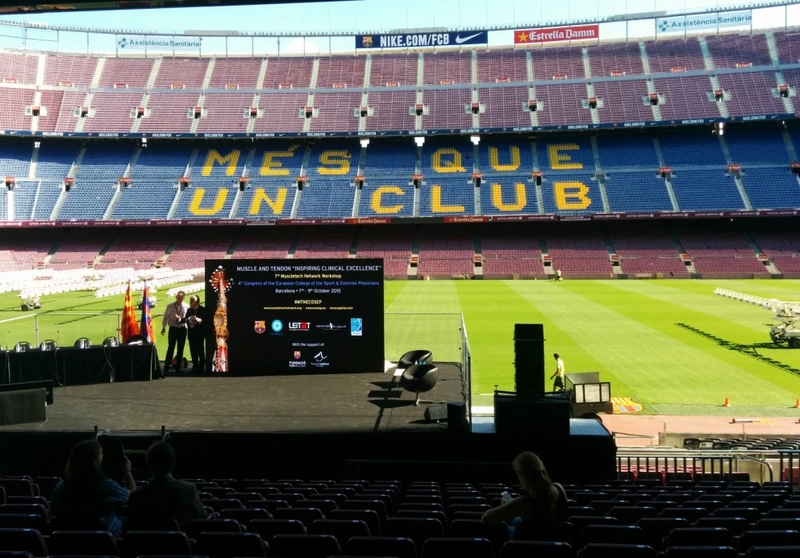 This was a three day conference based at the home ground of FC Barcelona, Camp Nou, with talks from inspirational leaders in both sports and exercise medicine and clinical research. The venue itself would be hard to beat–organizers placed the main stage on the pitch and had delegates sitting in the grandstand–but more importantly the educational content was vast. So why is this relevant to trainee doctors? 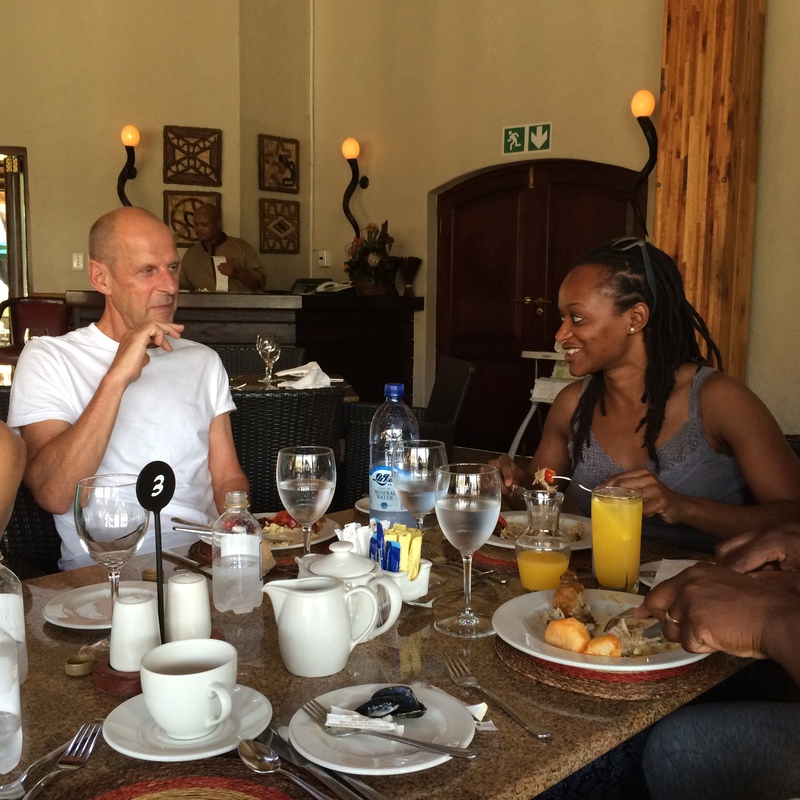 Firstly, attending conferences is a great way of meeting new people and catching up with old friends, both fellow trainees and doctors already working in the field of sports and exercise medicine. The amount I have learned and gained from these meetings cannot be undervalued. Secondly, whilst the main stage was jam packed with cutting edge research and talks by some of the biggest names in muscle and tendon research, the smaller stages played host to over 80 oral and poster presentations. Many of these were delivered by trainee doctors hoping to build experience of presenting at an international conference and obtaining feedback on their research projects. I was lucky to be offered this very opportunity, presenting a research project carried out whilst on elective with Dr Nikolaos Malliaropoulos from Thessaloniki. Dr Malliaropoulos has set up a fantastic elective programme for medical students, with a number of us presenting our research at the conference and I thoroughly enjoyed catching up with him and meeting the other elective students also presenting their data (see photo!). Presenting to experts in their field was both daunting and quite frankly terrifying; however I know that this experience will stand me in good stead for a career in this field and I look forward to working with my new contacts and peers in the future. In summary I would whole heartedly recommend any one looking for a career in this field to consider attending relevant scientific meetings or conferences as an excellent way of building knowledge in the area, meeting new people, and having a welcome break from the day job! I look forward to meeting you all at upcoming events! Thanks Dawn. And we look forward to seeing you all, our blog readers, here and at http://www.cjsportmed.com, the on-line home of CJSM.